You can use Easter eggs to get kids learning how to read! 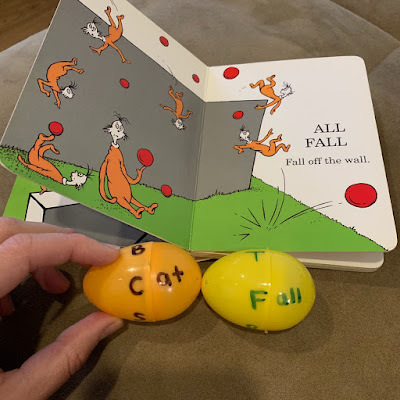 Write the end of the word on one side of the egg, and a few options for the beginning on the other side. Shout out to Aunt Becky! This reading trick is Wonder-Red approved!